I always knew that one day I would be a missionary. It has always been in my heart...my calling. I used to love to read missionary memoirs when I was younger. Some of my favorites include Nate Saint, Elizabeth Elliot, Marilyn Laszlo and my all time favorite "Bruchko" about a missionary by the name of Bruce Olson who did some CRAZY stuff (seriously if you are looking for a good read check this book out! ) Call me weird but to me these stories almost seemed glamours. I was one of those crazy, on fire, sold out christian teenagers and I could think of nothing cooler or more fulfilling than putting it all out there for the sake of the cross. I wanted what they had... A CALLING...A MISSION...A DIVINE APPOINTMENT... A DESTINY and I did not care if it meant being poor, dirty, far from home, challenged to the point of breaking or even death... I was ready! Now...fast forward 15 years later and guess what? I am officially a missionary! but, things have changed a bit. I have lived some life, seen some stuff, become a wife and a mom, learned the value of family and friends and somewhere along the way I became scared! I used to pride myself on being fearless and care free, spontaneous and tough, living life on the edge seemed attractive to me but something happened one night as I lay in a hospital bed next to my first born child. I remember not being able to sleep as I rest my hand on her tiny chest fighting the raging anxiety in me that feared she may stop breathing and I knew in that moment that my life would never be the same. Now that I am a missionary I have some reservations, I am concerned about being able to provide for my family, I worry about being able to guide my children through the multiple transitions that still lay ahead of us, I am afraid about not having health insurance. I have dreams of my kids taking dance lessons, playing sports, mastering a special craft and now I fear we won't be able to afford lessons. I know its silly but I am sad we can't get a dog. Tonight I found myself almost laughing at the irony! Why did God not call me into the mission field when I was younger, ready and unafraid? Wouldn't that have made more sense? Wouldn't I have been more effective when I was less afraid? But as I was questioning I felt God gently whisper "yes but now you know you have to rely on me and me alone! Before... you would have tried to do it on your own, but now you know you are nothing without me and that...my child... is the secret to being a successful missionary.... SURRENDER." 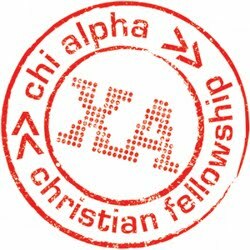 If you have yet to check out our ChiAlpha facebook page please do so and make sure to click "like" to get all our updates in this next exciting chapter of our lives.